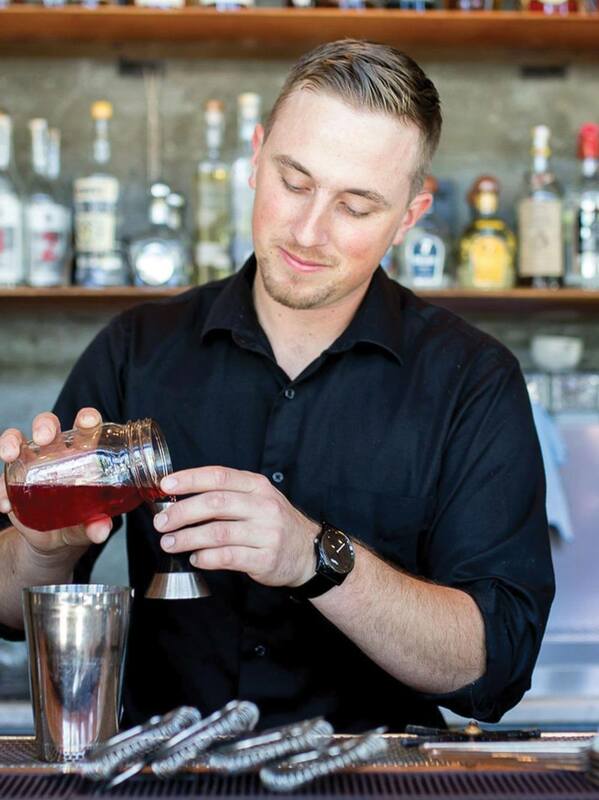 Alec Vlastnik, Chilled 100 member, San Francisco, has been recognized and rewarded at acclaimed restaurants such as The Meritage Resort, La Rosa Tequileria and Grill, and most recently the bar manager at Charlie Palmer’s Dry Creek Kitchen, before joining the Spoonbar team. 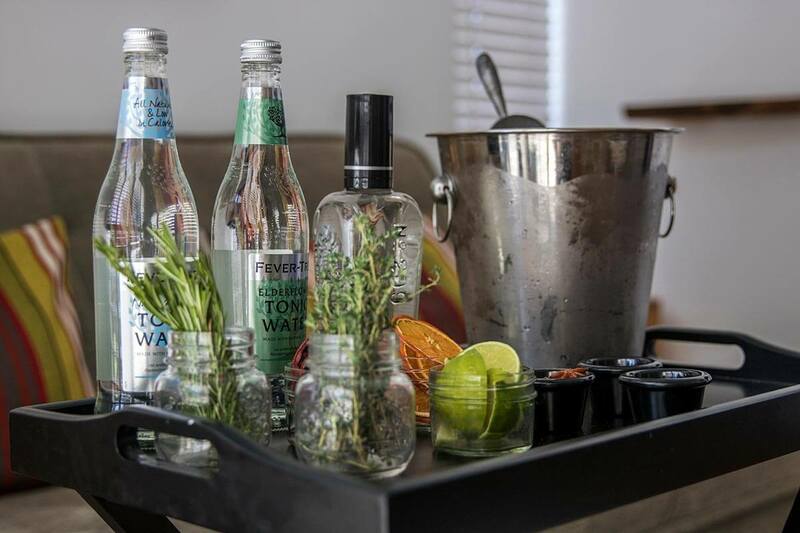 His DIY Gin & Tonic bar cart allows guests to be their own mixologists either up in their room at the h2hotel (where Spoonbar is located) or be brought to them poolside. The cart includes all the trimmings for a Gin & Tonic including Distillery No. 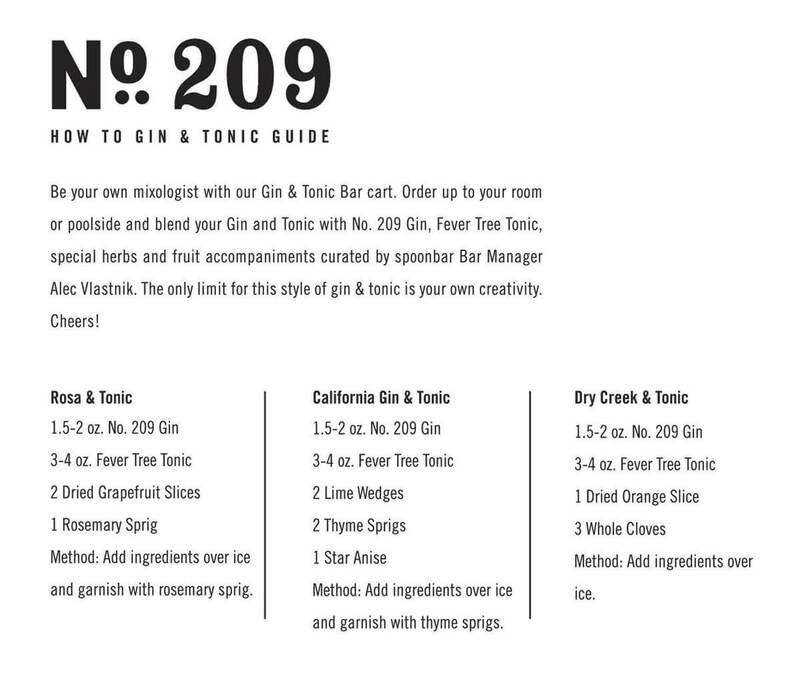 209 Gin, Fever-Tree Tonics, and herbs, fruits, and spices. What was your inspiration for creating a bar cart for your guests? 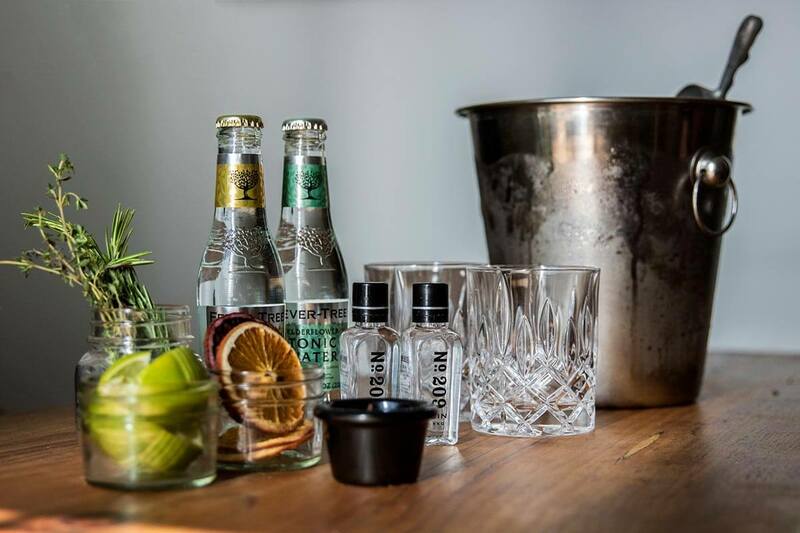 Gin & Tonics are the perfect refreshing end-of-summer drink, and while we are always happy to whip up a Gin & Tonic at the bar, we also thought the interactive DIY version would be a fun amenity for guests to enjoy in their room at h2hotel or poolside. 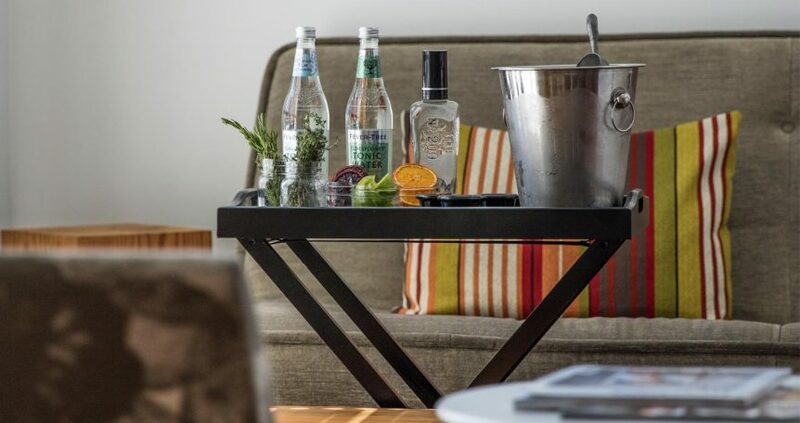 Many of our guests come to h2hotel for a special occasion, with family and friends inquiring about special welcome gifts we can provide—the Gin & Tonic bar cart makes the perfect welcome gift to unwind and start the vacation. Even though we are in wine country, we get a surprising number of people who prefer a cocktail to wine. We’ve chosen a diverse group of mixers, both herbal, acid, and sweet to create your own customized Gin & Tonic. How do you choose the trimmings included in the cart, including orange, grapefruit, rosemary, thyme, etc.? We wanted to give the guest enough options so they can make several different flavored Gin & Tonics. However, we wanted the ingredients to be stable and easy for the guest to control. Dehydrated fruit and herbs are easy to infuse your drink with, but it’s difficult to overdo it and ruin a drink. Tell us about the How-To Guide available for inspiration. The guide is simply that. Three options we thought that with the ingredients provided would make for both unique and tasty cocktails. The guests can use the exact recipes or as a guideline to make their own creation. What would you like bartenders to know about offering a DIY Gin & Tonic bar cart? As a hotel bar, it’s the perfect thing to offer a guest who would like a drink after the bar has closed. Healdsburg can be a tough place to get a drink after midnight. The DIY cart solves that problem.